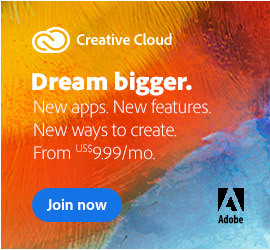 CS5 software packages are quite large (the full Master Collection suite is ~5 GB), so Adobe uses the Akamai Download Manager to facilitate their download. If you’re having any trouble installing or running the Download Manager, see the FAQ for this topic. 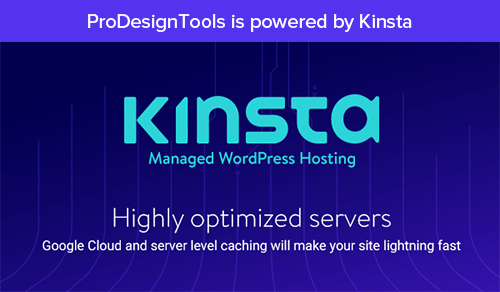 If nothing happens when you click the product’s trial download link, or a blank win­dow or coffee cup icon appears, or a “File not found,” “server not found,” “Windows cannot open this file,” or “add-on disabled” message appears, then see this page to solve your problem. There’s also more general download help. If it’s easier or if you prefer, you can order a trial DVD set for any of the CS5 suite editions: Design Premium, Web Premium, Production Premium, or Master Collection, and it will be delivered to your home or business… A DVD set can serve as your backup media if you choose to purchase at the end of 30 days, or you can have a full product box delivered to you when you purchase and simply use that serial number to convert the trial you already installed. There are several good resources for solutions. The Adobe Support Advisor (ASA) can analyze your install logs and identify errors generated during unsuccessful Adobe Creative Suite 5, Creative Suite 4, or Creative Suite 3 product installations. The ASA provides information about documentation for these installation known issues, and it expedites the troubleshooting process by generating files that you can upload, if necessary, to an Adobe technical support agent. If you’re still stuck, there are two major Knowledgebase pages on CS5 installation: Trouble­shooting installation for Adobe Creative Suite 5 products and Troubleshoot install errors using Creative Suite 5 install logs. These can also help provide answers. Lastly, when reinstalling, the Adobe CS5 Cleaner Tool (also known as the CS5 Clean Script) helps in resolving installation problems for Creative Suite 5 software. The tool can clean up install records for any pre-release installa­tions of CS5 products. The CS5 Cleaner Tool is designed to not interfere with existing installations of previous versions of Adobe Creative Suite products. The tool can also be used to resolve installation problems for Adobe CS3 and CS4 applications, and you can specify which at cleanup time. Run it after you’ve used the operating system’s uninstall procedure on all desired software. 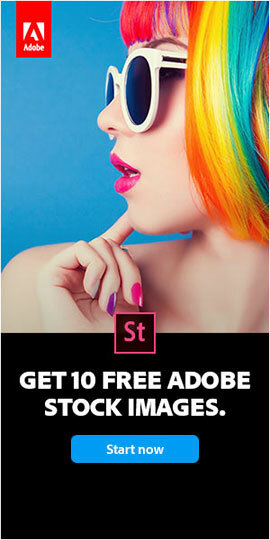 If you are still unable to successfully install your CS5 application after follow­ing the tool’s instructions, Adobe Technical Support will help you install or troubleshoot an installation issue with a trial version of Adobe products. Additional phone and web support is available only for registered users of purchased software. Czech, Danish, Dutch, English, Finnish, French, German, Italian, Japanese, Korean, Norwegian, Polish, Portuguese, Russian, Spanish, and Swedish! And if you’d like a free CS5 eBook to accompany that free trial, you can download it here (172 pages). Or browse the free online documentation and manuals for Creative Suite 5, or get trained with 17+ hours of free new CS5 online video tutorials. i installed CS5 all software on mac osx, all programs working well, but After Effects doesn’t work, just shows an After Effects icon with a question mark “?” – so what is the problem, and how to solve it? Sorry Wadea, we’ve never heard of anything like that at all… What happens when you try to open the program? Did you try uninstalling and reinstalling After Effects? Does your computer meet the minimum system requirements for that CS5 program? Thanks. hi there, my mac meets the minimum requirements, also i uninstalled and reinstalled the program, but still the same problem! i’ll try to change the method for activation, and tell u if the problem solved or not, and if anybody can help me, plz do it asap. What happens with the question mark icon? Can you interact with it at all? What does it do when you try to open it? Have you tried some or all of the techniques recommended in the article above (like ASA), and what happens when you do? This parent relationship is not satisfied, because this payload is not present in this session. See if this solution works for the problem you’re having. CAN YOU HELP ME PLS! Really important! Sorry to hear you’re having difficulties getting the product installed Dee.. Please see this Adobe Help Forum thread about the “Installer failed to initialize” message, and hopefully that will solve your problem. Hi, I’m trying to reinstall CS5 Master Collection on my Windows 7 computer, but after I’ve entered my serial number the “next button” is clickable meaning I’m stuck on step 2 which is the Serial Number step. Puzzled, do you mean the “Next” button is clickable or unclickable? If it’s clickable, then click it… If it’s unclickable, that would likely mean your serial number wasn’t accepted as being valid – and you probably need to contact Adobe Customer Support to sort it out. Is it possible to download a CS 5.5 version for Mac? 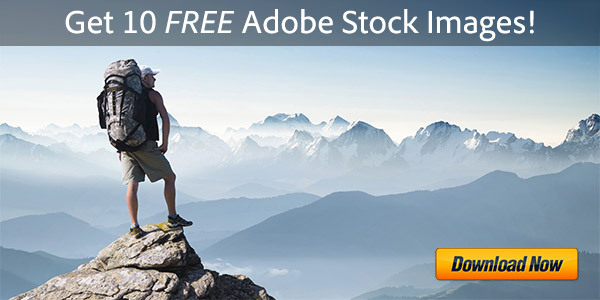 You don’t have permission to access “…/AdobeProducts/STAM/CS5_5/osx10/MasterCollection_CS5_5_LS4.dmg” on this server. If someone has a copy, is it possible to share it? Yes Lulu, the Mac and Windows free trial versions of CS5.5 are both still available in our Adobe software direct download links; you just need to follow the “very important instructions” given in each article there. There was a download that blocked the process because I already tried a few weeks ago. Could someone provide me with some advice? Thanks! Yes Mimi, according to Apple Support Communities, that error message “dmg not recognized” typically indicates a corrupt or incomplete download. My client’s hard disk failed. I replaced it and need media to reinstall their CS5 Design Premium. Can you point me to a download link? I tried the ones on your site and they fail. I contacted Adobe Support but they couldn’t help. Hi Tom, sorry to hear of your difficulties. 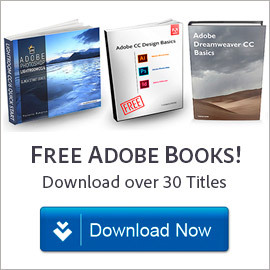 We do have the direct links for older products like Adobe CS5 – but in order for those links to work, you have to make sure to follow the download instructions there very carefully (otherwise you will get “access denied”). I am reinstalling Dreamweaver CS 5.5 as part of the Design Premium package and 50% of the way through it’s asking me to insert a disk. There is no disk…. help! Hello Dala, if you get an unexpected “Insert disc” (DVD / CD) message when installing a CS5.5 download, see this forum recommendation to (hopefully) solve it. Thanks for the reply and suggestion – I failed to mention that I’m using OSX on a mac. The suggested forum seems to detail Window’s solutions. Is the message you’re getting on the Mac, “Please insert disk CS5… to continue”? If so, try this help thread instead. I’m using Windows 7 and my Setup is on my USB. Hey Chris, try moving the setup file(s) off of the USB and onto the same disk drive that you want to install the software to, and that odd “Insert Disc” message should go away! Hey Chris, I was having the same problem. What I wound up doing was finding a link to re-download the entire ‘install’ suite software and deleting all of it that was on my computer. The new download of the install program worked for me. 2) Failed to install Microsoft Visual C++ 2012 Redistributable Package (x86). Please try installing it by double clicking on the executable. So if anyone knows what this means or what I should do that would be great!! Greetings Riki, does this solution work for you? Hi there, I’ve been trying to download the master collection CS6 on my MacBook Pro retina 13 (using OS X Yosemite) but when i started the installation, it says that I have to install adobe support advisor. What is that? I just don’t Know what to do. Hi Sasha, the Adobe Support Advisor has actually been discontinued… What are the exact messages you get, and at what point do they happen? Have you been able to make any further progress in getting CS6 installed? If we don’t hear anything further back, we’ll presume you figured it out. Hi, I have Adobe Master Collections CS6 and every time I try to install Master Collections, I encounter an error that says there are files missing. Greetings Nathan, this page is for CS5 and CS5.5. 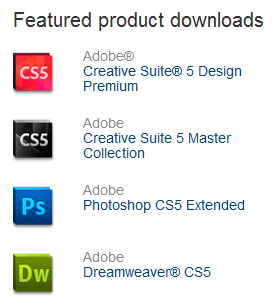 Are you talking about CS6 – and have you used the CS6 direct download links here? If so, what is the actual error message you’re getting? We would need to know that exact text in order to help further… And if you reply on the CS6 page we just linked, that would be the best place to discuss this further – thanks! I had a problem installing CS5 from DVD so I copied all software to hard drive. But when i started installing and at the finishing installation of disc 1, it says insert disc 2 but i have 4 DVDs with .rar files. What should i do? Well it sounds like the CD/DVD setup won’t work for you, so you can try installing from the CS5 direct download links instead. Hello, sorry you’re having difficulties. What is the complete exact error message you get? Try googling or posting that. Recently I installed Adobe Premiere Pro CC and when the install reaches 2% it shows a message “please insert disk premiere pro cc to continue”. What should i do now? My system is windows 8.1 64 Bit OS. Please help me with this issue. i have a problem with adobe photoshop – while installing the cs5 extended edition, they ask to please insert the disc for photoshop cs5 to continue… how to solve this issue? Try googling the complete text of the “WARNINGS…” you got, and you will find some suggested solutions on Adobe’s website.